At the end of the bloody War of the Roses between the rival Houses of Lancaster and York, the victorious Yorkists look forward to a period of peace under the newly-crowned Edward IV. But Edward's younger brother, Richard, Duke of Gloucester, has other ideas; he proclaims that he is a villain who plans to get the throne for himself. He conspires to play his brothers, Edward – now King Edward IV – and George, Duke of Clarence, against each other. He begins by insinuating charges of treason against Clarence and having him imprisoned in the Tower of London. Richard furthers his plans by brazenly wooing Lady Anne, widow of the murdered Prince of Wales (whose death was at Richard’s own orders), in the midst of her husband’s funeral procession. Queen Elizabeth, wife to King Edward IV and a member of the House of Lancaster, argues with Richard as the new king’s health declines. Richard, meanwhile, arranges the murder of his imprisoned brother, Clarence and manipulates King Edwards IV into blaming himself; Edward dies of grief shortly thereafter. Edward leaves behind him two young sons, not old enough to rule. 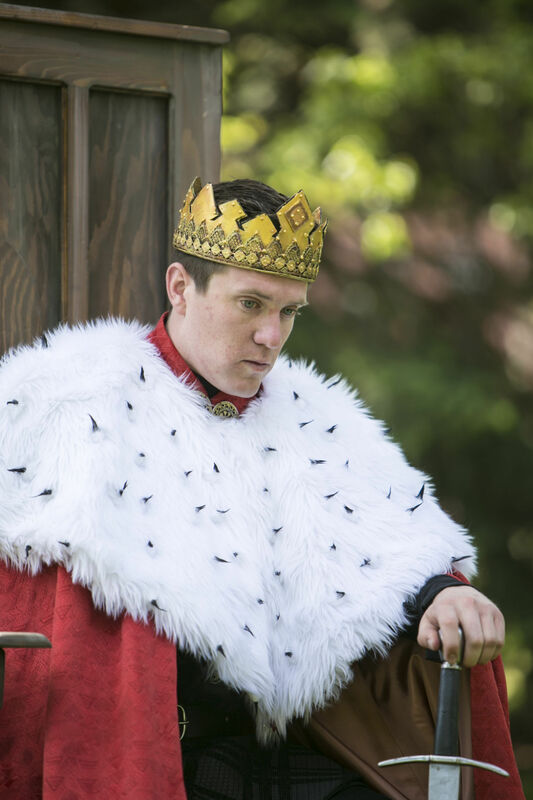 Richard is appointed Lord Protector of England and orders the execution of the Queen's brother, Rivers. Queen Elizabeth and her younger son, the Duke of York, claim sanctuary in Westminster Abbey. On arrival in London, Edward, Prince of Wales, asks for his mother, younger brother and uncles. Richard's allies arrange for the Duke of York to be brought from sanctuary. Richard tells young Edward that his maternal uncles were treacherous and suggests that he and his brother should lodge in the Tower of London until the coronation. 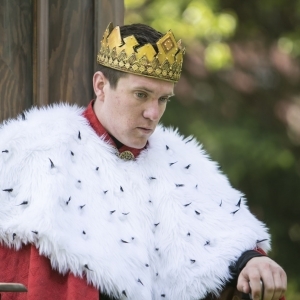 Richard learns that the powerful Lord Hastings will not support his claim to the throne. He falsely accuses Hastings of plotting and has him executed. With Buckingham and Catesby, Richard stages a 'riot' to convince the Lord Mayor that the threat from Hastings was real. Buckingham spreads rumors that Edward's children are not true heirs because they are illegitimate. The conspirators then present Richard to the people as a pious and unwilling claimant to the throne. He is acknowledged king and Tyrrel is sent by Richard to murder the two young princes in the tower. As the people of England become increasingly fearful of Richard, he falls out with his chief ally, Buckingham. The Earl of Richmond, a member of the House of Lancaster, also has a claim to the throne and gathers forces in France to challenge Richard. To strengthen his own claim, Richard arranges to have his wife Anne murdered, and begs Queen Elizabeth to woo her daughter, the young Elizabeth, on his behalf. Richard's plans begin to unravel. Queen Elizabeth secretly agrees to marry her daughter to Richmond, who arrives in England to challenge Richard on Bosworth Field. The night before the battle, the ghosts of the people Richard has had murdered appear to him in a dream, cursing him and praying for Richmond's success. After fighting bravely, Richard is killed in battle by Richmond, who becomes King Henry VII. Promising a new era of peace for England, the new king is betrothed to the young Elizabeth, uniting the warring Houses of York and Lancaster.